10/23/2004 Over 1,200 Articles Posted! Nearly 80,000 People Downloading A Salvation Page Per Year! 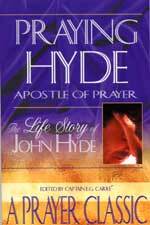 ---------- Inspiration For the Week----- "Joy In God"
It will be a comfort to many when they hear that Mr. John Hyde was not naturally a bright and happy man. On the contrary, he was in himself inclined to be morose, retiring, shy, and silent. Yet, he became one of the most joyous souls I have ever met. He was very fond of Isaiah 61:3, where that wonderful exchange is effected by our Lord. He will give us His own "Beauty", His own "Oil of Joy", and His own "Garment of Praise", if we hand over to Him our ashes (what is our past life but 'ashes'? ), our mourning and our spirit of heaviness. So he received our Lord's double gift of joy (John 15:11), freely from his Master's hand, and then would burst out into joyful praise. For no one can be filled with the Divine joy and not sing His praise. Our New, Expanded Selection of DVD's! 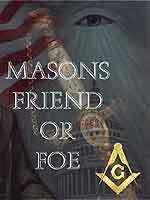 * "Masons: Friend or Foe To The Born Again Christian?" 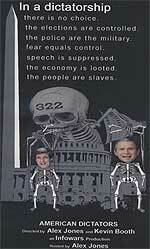 - DVD - VHS - Many of our leaders have sworn allegiance to a Masonic Order of one type of another. 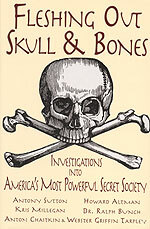 Our current election features two brothers in a Masonically-based secret society called "Skull & Bones". What are these leaders pledging their allegiance to and how deeply entrenched are their goals to America today? Since Freemasonry has attempted so strenuously to claim that they are just a good old boy fraternity that does good works and has a good time, most Americans would be shocked to learn the bitter truth behind that facade. Given the incredibly strong propaganda campaign in America since World War II, most Americans do not realize how tightly our elections have been controlled. 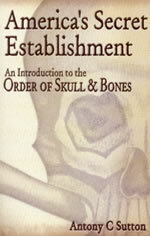 In 2004, we really have no choice, as each candidate is a life-long Adept in the Black Magick Secret Society, "Skull & Bones". * "The Search For The Real Mt. 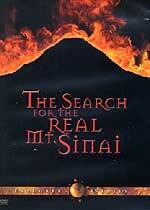 Sinai" -- DVD - Two explorers take an incredible expedition into the blistering Arabian Desert to discover what many scholars believe to be one of the greatest discoveries in history -- the real Mount Sinai, the holy mountain on which God gave Moses the Ten Commandments This DVD tells their amazing story. How they crawled into forbidden military installations; how they used night vision goggles to avoid being detected as they pursued their mission; how they discovered a dozen significant remnants still remaining at the site. These explorers embarked upon a journey which would change their lives forever, finding remarkable evidence that confirms the Bible as being historically accurate. This exciting footage literally leaps off the screen to document a story you'll never forget. 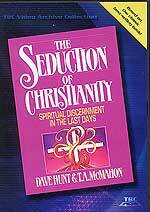 * "Seduction of Christianity", by Dave Hunt -- DVD -- The classic that first sounded the alarm that Church Apostasy was reaching the levels prophesied about churches at the End of the Age. 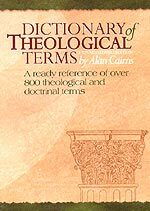 The common response is that the book both articulates and documents biblical concerns many are having with teachings and practices coming into their own churches. More needed than ever, as delusions and deceptions continue to grow. Contains four video programs on one DVD. Filmed exclusively to address concerns raised in the authors' best-selling book, the programs include, Faith, Self, Godhood, and Humanism. Each segment contains an in-depth discussion of New Age concepts such as mind power, mind control, New Thought, selfism, pantheism, Atheism, pragmatism, psychological techniques and many other topics. 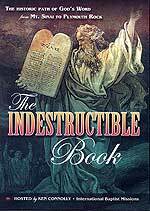 * "The Indestructible Book" - DVD - The Scriptures were banned, burned, and ridiculed by rulers of every age, from Roman emperors to English monarchs. Many who dared to read and share the Word met horrible deaths. Yet God's truth could not be crushed. This four-volume video commentary by Ken Connolly is a spectacular sweep of history, filmed on location in Israel, Europe, Britain, and the U.S. Retrace the Historic Path of God's Word from Mt. Sinai to Plymouth Rock. Meet the scholars, teachers, and missionaries whose passionate faith preserved the Indestructible Book. * "Life's Story: 150-Year-Old Evolution vs Creation Debate Is Now Over!" - DVD - VHS - The Evolution vs Creation debate has raged for more than 150 years, but now, the debate is over! What does modern DNA research prove about the theory that simple cells evolved into all life on earth? Simply that evolution is scientifically impossible. So, why is this information being kept from the general public? Should Darwin's discredited theories still be taught as "facts" in our educational institutions? In a wildlife program unlike any other ever seen before, you will journey to discover the story of life itself. How much can animals change? Why do so many species depend upon one another to survive? Where does instinct and intelligence come from? And what do the designs of creatures alive today reveal about their history? Learn about the abilities of parrot fish and dolphins, the habits of ostriches and wildebeast, and the skills and instincts of cheetahs, giraffes, and lions. 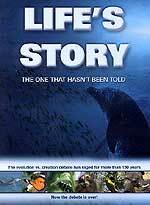 Filmed and researched over a 5-year period in 10 different countries, Life's Story explores all these issues in the most visually stunning and informative wildlife productions available today. 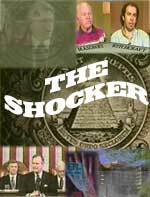 * "The Shocker: 12 of the Most Shocking Subjects of These Last Years", 2-DVD Series for only $24.99! - VHS - Most requested video tape of all! A 2-DVD Series. Through film and news clips, Wegener shows the 12 most shocking subjects to cross his desk in the last few years. Just when you think you have seen, or heard it all, this video will show just how very weird this world has gotten. Subject includes UFO's, Masons, Executive Orders, MJTF, high-technology, concentration camps, the silence of the church, abortion, and more. A must see. 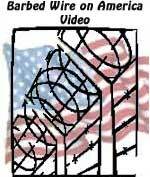 * "Barbed Wire On America: God's Final Warning" - DVD - VHS - In great film clips, Wegener details the coming plan to institute global dictatorship. What do: Detention centers, Depopulation, Demilitarization, Foreign Troops on U.S. soil, Mother Gaia worship, Martial Law, and the Anti-terrorism bill have in common? They are all in our immediate future, unless enough Americans wake up to what is planned for us. 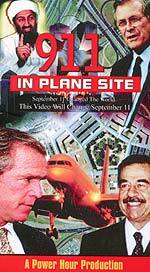 Great film footage, a must see for all Americans. 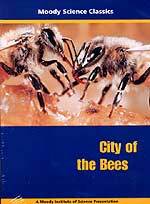 * "City of the Bees" Science Classics - DVD - VHS - In the City of the Bees, you'll learn how these amazing insects live and work. And you'll be amazed at the harsh law of the hive, which has no place for sick or unproductive members. Finally, you'll learn why God's design for human relationships is vastly different from His system for bees. 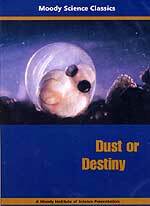 * "Dust or Destiny" - Classic Science Series - DVD - VHS - In Dust or Destiny, you'll marvel at some of the world’s most astonishing natural wonders. And learn how each of them gives fervent testimony to the fact that this planet was not formed from ordinary dust. But from the loving hands of a living God. 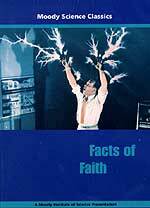 * "Facts of Faith" Science Classics - DVD - VHS - In Facts of Faith, you'll watch one million volts of electricity blaze through a man’s body. And witness a whole series of sophisticated experiments all designed to demonstrate some powerful spiritual truths, such as, what faith is and how you can have it. 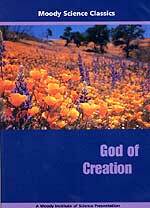 * "God of Creation" Science Classics - DVD - A creeping caterpillar takes wing as a graceful butterfly. Flowers open their blooms before your eyes. A twinkling point of light reveals a solar system millions of light-years away. It’s all the work of the God of Creation. This all-time Moody favorite explores the power and beauty of the universe we live in. You’ll see the food “factories” that plants use. And you’ll peer through a telescope into the vast reaches of space, while you ponder the God who put the galaxies in place. The same God who gave His Life for us on the cross. 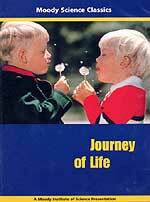 * "Journey of Life" Science Classics - DVD - VHS - Witness a fantastic voyage through floods, fire, and storms. A valiant struggle against impossible odds. All performed by a perfectly ordinary, yet truly remarkable creation: the simple seed. But Journey of Life is more than a fascinating look at God’s design for growing plants. It’s also a wonderful picture of the most important voyage of all, the journey of the living seed of God’s Word, taking root in human hearts. This highly acclaimed video urges us to examine our lives. And to look beyond present struggles to the promise of eternal life. 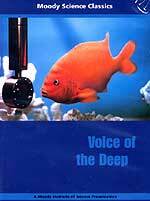 * "Voice of the Deep" Science Classics - DVD - VHS - Have you ever heard a fish that croaks? How about porpoise that moo? The “silent deep” is not so silent after all. Take a trip beneath the sea to discover many strange facts about a little-known world. In Voice of the Deep, we see that a person needs not only new ears but a new life to fathom the mysteries of the spiritual realm. 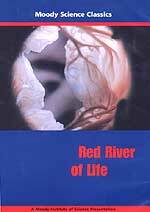 * "Red River of Life" - Science Classics - DVD - VHS - Step inside the most complex factory ever designed. With thirty trillion cylinders. Powered by a pump that’s far superior to the finest steel. In Red River of Life, you’ll see what makes your blood, your lifeline, carry its precious cargo of oxygen to every corner of your body. And more importantly, you’ll learn how the shed blood of Jesus Christ is the source of life in the Spirit. 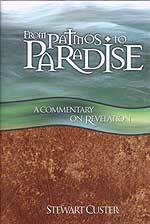 * "From Patmos To Paradise: Fundamental Commentary of the Book of Revelation" - Hardcover Book - by Dr. Stewart Custer - At this momentous time in world history, Fundamental Christians MUST be properly taught the prophesied events of the Book of Revelation. 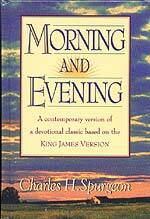 Jesus pronounces a special blessing upon all believers who diligently study Revelation (1:3). Read John's dramatic account of the earth's last days and of our Lord's return. Many people have spent many years trying to understand these events, which often seem like pieces of a puzzle that just don't quite go together tightly. 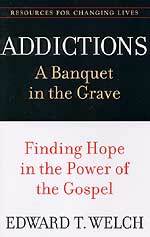 Differences of opinion and interpretation have often obscured the remarkably personal message of this wonderful book. I. The campaign to discredit President Bush during his campaign for re-election continues. A. Since President Bush supposedly depends desperately on his Born Again, Evangelical Christian base, it was shocking to hear the President declare a key Evangelical pastor and leader a liar. After watching for almost one year the maneuvering of John Kerry into position as Democrat Candidate for President, and after watching the simultaneous discrediting campaign of Bush, we have wondered if the plan is to replace Skull & Bones Bush with Skull & Bones Kerry?? While we have no idea whom the Illuminati wants to be President for the next four years, we have never seen such a deliberate campaign of discrediting a sitting President running for re-election from people who have been his allies and friends. "In the weeks before the Iraq war began, President Bush waved off concerns about casualties by evangelist Pat Robertson and told the TV preacher there would not be any. The White House immediately disputed Robertson's account, calling it 'not accurate', but the televangelist declined yesterday to retract his version of the conversation. Robertson, a staunch Bush backer, told CNN Tuesday night that the President made the statement in Nashville during a February 2003 meeting. 'I was trying to say, 'Mr. President, you better prepare the American people for casualties', Robertson said. He said Bush replied: 'Oh, no, we're not going to have casualties'." While few people could ever believe that any President would be so naive as to think we would suffer no casualties during an invasion of Iraq, to disbelieve this story is to believe that Christian evangelist Pat Robertson is telling a bold-faced lie at a most damaging and embarrassing moment during Bush's re-election campaign. During February, 2003, the invasion was one month away, and Bush/Blair were saying all sorts of things which later proved to be absolutely wrong, trying to convince their respective voters that they absolutely needed to invade Iraq. The entire 9/11 Commission and the WMD report from the Duelfer Report almost completely destroyed the President's rationale for going to war. Therefore, during this time frame, I do not find it unbelievable that President Bush would tell Pat Robertson that he need not worry, for American forces were not going to suffer any casualties; this lie is not too much greater than the lie that Saddam had drone airplanes by which he could deliver his non-existent WMD or that he had loaded his WMD on "terror ships" which were circling in the ocean. A natural conclusion one might draw from Robertson's revelation is that the President was dangerously out of touch with reality. Of course, this charge has been made repeatedly by the Kerry-Edwards team; therefore, the White House was quick to state that Bush was not out of touch with reality.
" 'Of course the President never made such a comment', said White House spokesman Scott McClellan. 'Any assertion the President didn't understand the serious consequences of military action is simply not accurate', said Bush campaign spokesman Scott Stanzel. 'Anytime the President sends troops into combat he understands that there will be casualties. It's one of his most serious obligations as President - the safety and well-being of our people and our men and women in uniform'." The Kerry camp wasted no time pressing the President on this embarrassing revelation. "Is Pat Robertson telling the truth when he said you didn't think there'd be any casualties or is Pat Robertson lying?' Kerry aide Mike McCurry rhetorically asked the President." The authors of this article did not record Bush's reply. 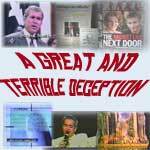 We have been noting since February, 2003, that a deliberate campaign to discredit Bush seems to be underway. Certainly, this disconcerting statement by one of President Bush's major supporters cannot help his standing with his core constituency, the Evangelical Christian. If you are one of those earnest Christian who still believes Bush is a better, more moral candidate than Kerry, please take the time to thoroughly review our table entitled, "President Bush's Evil vs Good Spiritual Fruits", remembering Jesus' admonition to consider a person's fruits before concluding whether that person is a genuine Christian. We present this evidence that President George Bush is the type of Skull & Bones Freemason we have said all along he was. This picture was taken during the signing ceremony where Texas Governor George Bush signed Public School legislation. Study carefully all those abominable Master Mason aprons surrounding Governor Bush. Since Mr. Bush is seated, we do not know if he was wearing his Master Mason apron. B. Former adviser to President John F. Kennedy, Arthur Schlesinger, sharply attacked President Bush for his foreign policy, which Republican strategists have always considered the President's strong suit. "President Bush is a militant idealist. He proposes to use America's military, economic and cultural power to spread 'liberty' ... Never in American history has the republic been so unpopular abroad, so mistrusted, feared, even hated." This indictment is strong, and if you were to read the entire report, you would realize how very strong Schlesinger's article truly was. Coming from someone as highly placed in a previous presidential administration as Arthur Schlesinger was gives even more credence to his arguments. If you have not read our article on this insider attempt to discredit the President, you should stop to read it now: NEWS1929, "Campaign To Discredit President Bush Seems To Be Moving Into High Gear". So far, we have seen a blow to discredit coming from both sides of the spectrum: From Robertson, the President's side, and from Arthur Schlesinger, from the Democrat side. Now, let us listen to a former general ask a question I have been pondering ever since V.P. 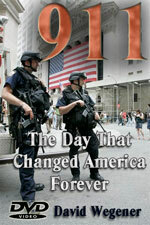 Cheney warned that only a Bush Presidency could protect America from another terrorist attack. C. Former General Wesley Clark asks what may be the most important question of this campaign. "Retired four-star Army Gen. Wesley Clark blamed President Bush for the 9/11 terrorist attacks in a hard-hitting campaign speech at the VFW hall in East Pittsburgh ... 'He was not a leader. He did not keep this country safe', Clark told about 50 people, mostly veterans ... There were all kinds of indicators out there that the United States was under threat of an imminent terrorist attack," Clark said. "He didn't grab the reins, to use a Texas analogy. He wasn't controlling the horse'." Exactly! When Cheney charged that only a Bush Presidency could protect America's cities from another terrorist attack, the question that immediately popped into my mind was "Where was President Bush and his team on 9/11/2001?" Why didn't his experienced leadership prevent this attack? Forget the rhetoric about "prior intelligence" indicating that an attack was imminent, or about "massive intelligence failure", for we all know this attack was planned at least as far back as 1995 (NEWS1753). What we need to know -- and what the victim's families of 9/11 have been asking -- is why fighter planes were not scrambled, especially after the first tower was hit? Even the first strike seemed preventable, for radar should have shown exactly where that plane was headed after it was diverted from its Boston - San Francisco flight path. Of course, there are so many other unanswered questions concerning Bush's leadership on 9/11 that a whitewash commission was appointed to tell the American people that 9/11 occurred in spite of great leadership on the part of the President. These unanswered questions agitated the public waters so greatly that, today, 50%of all New York citizens believe that officials of the Bush Administration knew of 9/11 and did nothing (NEWS1956)! But, now at least, General Clark has finally gotten the important question asked. II. We are beginning to see indications that this election may be so contrived so as to be as close as 2000. "DOWNINGTOWN, Pa. -- A camouflage-clad Sen. John Kerry went goose hunting Thursday while President Bush paid a call on the archbishop of a heavily Catholic battleground state, a clash of symbolism in a tight race for the White House ... Twelve days before the election, an Associated Press survey among likely voters had the race as a statistical tie, 49 percent for the Massachusetts senator and 46 for the man in the White House. The nominal three-point margin was inside the survey's margin of error .... In the presidential race, the AP survey depicted a country at a crossroads ... More than half of those surveyed, 56 percent, said the nation was headed in the wrong direction, a danger signal for any incumbent." The phrase, "a clash of symbolism in a tight race for the White House" seems to indicate a planned close election, possibly as tight as in 2000. That scenario was similarly stated in a Zogby poll; remember, John Zogby is Rush Limbaugh's favorite pollster, thereby signifying that Zogby is merely knowledgeable of the inside election plan. "President Bush and Democratic rival Senator John Kerry are locked in a statistical dead-heat with Bush ahead of Kerry (46%-45%), according to a new Reuters/Zogby daily tracking poll. The poll results are reminiscent of the presidential race in 2000 during this period. Pollster John Zogby: 'As we’ve said all along, 2004 is playing out as close as 2000'..."
If the plan is to stage a very close election, might we also see the results decided by the Supreme Court on the 13th of December as in 2000? III. Even as Israeli Prime Minister Sharon is engaging the Knesset Parliament in a back-and-forth political shoving match, the elite Israeli Defense Force is already undergoing specialized training as to what tactics to use when the real forcible evacuations are under way. Now, why would the IDF already be training its men in how best to remove settlers if Sharon's Unilateral Disengagement plan has not yet been approved by Parliament? We shall answer this question after this news story. "Border Guard forces are already training to evacuate and demolish Jewish communities and outposts. An exercise was held last night, described by observers to be 'painful' to watch ... The Yediot Acharonot newspaper reported today that a mock "settlement" is being erected in an army base on which to practice eviction of Jews from their homes ... One of the groups played the part of the soldiers, and the other were the 'settlers' who were to be evicted. The 'settlers' cried out nationalist slogans, while the 'soldiers' followed orders to use great force and show no hesitation. 'It was very painful to see this', one soldier told Arutz-7. 'They did it in the middle of the base, in front of everyone. Some of them had real hatred in their eyes'." How is it possible that Jewish soldiers would have "real hatred in their eyes" for Jewish settlers? To understand this issue, you must realize that no love is lost between secular Jews and religious -- especially Orthodox -- Jews. I personally ran into this hatred during Toy Fair a few years back when the president of a toy company began to recount how he had encountered several Orthodox Jews on the subway on his way into New York City. This toy company president was a secular Jew and he was filled with anger bordering on hatred toward these "unworthy" Jews. I was shocked to the core of my being, for I had never, ever conceived that one type of Jew could hate another type of Jew so vehemently. Why did this toy company president feel so angry toward these Orthodox Jews? He was embarrassed by their dress and their hair and their beards, and they smelled bad. He saw them as fanatics, and felt embarrassed. Likewise, in Israel, secular Jews look down their noses at the religious observant, Orthodox Jew. My suspicion is that most of the IDF soldiers who will actually carry out the forced evacuation will be carefully selected secular Jews who will have no qualms about evicting Jewish people from Biblical lands. A medical doctor in Jerusalem emailed me last week to tell me of the mood of secular Jews these days in Israel. 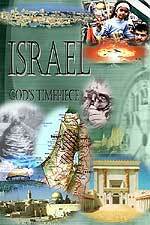 "Jews who believe in God over here are losing the battle much of the time. There doesn't seem to be anything we can do to stop a government bent on our destruction. 'In those times people will think they have done well to persecute you'. This is definitely true today, as Sharon places anyone who fights him under arrest or worse. Hit squads have been trained to pick off the settlers that remain behind, in the hopes of scaring people into submission. No secular person thinks this is a crime! Can you imagine?" In this deplorable situation, Prime Minister Sharon is a secular Jew filled with anger bordering on hatred toward the settlers, who are mostly religious, observant, and Orthodox. We reported this unfortunate reality in our article, NEWS1941, "Is Israeli Prime Minister Sharon Using The Forced Settler Evacuation As An Excuse To Crack Down On Orthodox, Observant Jews?" Last week, religious Jewish authorities struck back hard at Sharon's withdrawal plans; the reaction from government sources indicated that the arrow hit deeply. Notice that the good Rabbi's statement was aimed at "religious soldiers". "Rabbi Avraham Shapira's call last week, urging religious soldiers to refuse to obey orders to evacuate settlements, could yet turn into a watershed moment in the disengagement. Shapira's statement has rippled throughout the system, affecting other rabbis, soldiers and the upper echelons of the army. A glance at the list of rabbis who support Shapira shows that many of the hesder yeshivot, where active duty soldiers study, have crossed the lines and joined the call to refuse the order, while many of the rabbis of the pre-army preparatory yeshivot - reservists with close ties to the army - remain undecided. But if the calls by the rabbis lead to a wave of refusing orders, it could become the greatest internal challenge to the army since the war in the territories began four years ago." This religiously observant call to religious soldiers reverberated like a shot across Sharon's bow! A top IDF military commander reacted with great anger. "JERUSALEM (AP) - A top Israeli army official and even some Israeli settlement leaders denounced an appeal from dozens of rabbis urging observant soldiers to disobey orders calling for the evacuation of some West Bank and Gaza settlers. The appeal set off shock waves all the way to the top of the army. Lt. Gen. Moshe Yaalon, the nation's highest ranking officer, spoke out Tuesday as the religious edict by a former chief rabbi, declaring removal of settlements a violation of Jewish law, gained both supporters and critics. Though Orthodox Jews make up only about a quarter of Israel's population, observant soldiers are a significant presence in combat units. Some serve in special units that allow them to split their time between front-line duty and seminary studies. Prime Minister Ariel Sharon's disengagement plan, which calls for Israel to evacuate authorized settlements from the West Bank and Gaza Strip for the first time, has ignited one of the most emotional and ideological firestorms in Israel in years ... 'Insubordination is dangerous to us as an army, as a society and as a nation. This is not legitimate and inappropriate," Yaalon said. 'Don't put us in impossible situations. I call upon all those involved, from across the political spectrum, to show responsibility and not to undermine the (military)', he said at a navy memorial ceremony. 'Disobeying orders is a danger to Zionism'." This statement is a direct appeal to the patriotism of all Jews living in Israel; it also appeals to the basic insecurity in the heart of every Jew, because they know only the IDF guarantees their continued existence. Without the IDF, every Israeli would quickly be defeated and killed by the overwhelming numbers of Muslim fighters. Thus, General Yaalon is cautioning that failure to obey Sharon's legal orders could result in a disintegration of the Army, leading to Israel's defeat and the Jewish citizen's demise. Watch Israel carefully. She is separating her population from the "House of Esau" (Palestinians) by the Security Fence and this Unilateral Disengagement, just as Cutting Edge predicted in 1998 (NEWS1422 and NEWS1620). Once this population separation is completed, Israel will be ready to go to war, and the planned World War III can begin. When will this planned separation be accomplished? By Sharon's most recent statements, Israel will begin to forcibly remove settlers in May, 2005 and will be finished 12 weeks later. IV. When Jordan symbolically reasserted her rights as an Hashemite Kingdom, did she sign her own prophesied death warrant? "... inhabitants of the Israeli Red Sea resort of Eilat noticed some strange goings-on across the bay in the Jordanian port city of Aqaba ... One morning, they awoke to the sight of an enormous flag flying from a 136 meter- (446 foot) high pole. The flag, measuring 80 meters (262 feet) by 44 meters (144 feet), was almost the size of an American football field ... . Dimensions aside, there was something odd about the pennant. It looked almost but not quite like the Jordanian national flag; it lacked the trademark star and its colors were in the wrong order. Instead of being arranged in a black, white and red pattern, the flag was black at the top, green in the middle and white at the bottom. After some research, DEBKAfile’s sources were able to identify it as the royal flag – not of Jordan but of the Hashemite dynasty that reigns in Amman today but originated somewhere else. A. It is a symbolic restatement that the Hashemite claim to the Gulf and Hijaz lands on its eastern coast remains in force. B. Aqaba and Kuwait are the two key transit ports for merchandise bound for Iraq. The flag may be interpreted as a message that the Hashemite branch which once ruled Baghdad has not relinquished its claim there either. C. This message is as much religious as geopolitical and is addressed to al Qaeda and its Wahhabist mentors in Saudi Arabia, Sinai, Jordan, Iraq and Syria: the true and historic messengers of the Prophet Mohammed and his teachings are not al Qaeda but the Hashemites by virtue of shared ancestry and long rule in the holy places. "... King Abdullah II seems to be sleeping all the more soundly as he dreams of the Hashemites’ return to their former glory." This dream of returning to the former glory of the Hashemite Kingdom threatens Saudi Arabia and all militant Muslims. Jordan is thoroughly dominated by the United States and is regarded as a moderating influence throughout the region. Therefore, King Abdullah II may be inviting an inevitable militant reaction from many different militant Muslim organizations, both private and governmental. This new assertion by the Hashemite King of Jordan could very well set the stage for this prophesied utter destruction in his provinces of Moab and Edom. We shall just have to wait to see how the situation plays out. V. Three news stories this past week served to demonstrate that our police forces are becoming more heavy-handed with the people over seemingly minor incidents. Too few people realize that a harsh police force will be needed when the harsh laws now on the books are enforced. Therefore, these stories of an attitude of harshness by our police forces may serve as a "sign of the times". "I write this from my home in Jacksonville, Oregon (population 2,226). President George W. Bush came here this week. The purpose of his visit was political. Southern Oregon has been deemed a 'battle ground' area in the presidential race. John Kerry has made incredible inroads in this traditionally Republican stronghold. President Bush's campaign stop was an attempt to staunch the slide ... The prospect of an overnight presidential visit was exciting, even to me, a lifelong Democrat. My excitement turned to horror as I watched events unfold during President Bush's visit ... Police armed with high powered rifles perched upon our rooftops as the presidential motorcade approached. Helicopters flew low, overhead. A cadre of motorcycle police zoomed into town. Black SUVs followed, sandwiching several black limousines carrying the president, his wife and their entourage as they sped to the local inn where they would eat and sleep." "Supporters of John Kerry sported signs, as did supporters of George Bush. Individuals, exercising their rights of free speech began chanting ... An order was issued that the anti-Bush rhetoric be quieted. The local SWAT team leapt to action. It happened fast. Clad in full riot gear, at least 50 officers moved in. Shouting indecipherable commands from a bullhorn, they formed a chain and bore down upon the people, only working to clear the side of the street appearing to be occupied by Kerry supporters ... People were being crushed. They started flowing into the streets ... riot police fired pellets of cayenne pepper spray into the crowd. An old man fell and couldn't get up. When a young man stopped to help, he was shot in the back with hard pepper spray balls. Children were hit with pepper spray. Deemed "Protesters", people were shoved and herded down the street by the menacing line of armed riot police, until out of the President's ear-shot. "In small town America, I witnessed true repression and intimidation by law enforcement. I saw small children suffering from the effects of being fired upon by pepper bullets. I felt legitimate fear of expressing my political opinions: a brand new feeling ... It is reputed that President Bush and his staff will not allow any opposition activity to occur within his ear or eye sight. I can confirm, that in tiny Jacksonville, Oregon, this was true. Physically violent means were taken to protect the president from verbal insults. Freedom of speech was stolen." When Skull & Bones Bush was elected President, I warned everyone who would listen that, not only was he not whom he pretended to be, but that our liberties and freedoms are more at risk from this Republican President than they ever were under the morally despicable Clinton. We are now seeing stark evidences that my original reticence was justified. These police and security people are acting just as they have been trained and ordered. All across this land, police departments are starting to act violently against regular citizens. What we are seeing is the "tip of the iceberg"; we are seeing a brutalized police force which will one day descend upon us all once the World War III scenario begins to unfold domestically in the form of Martial Law and a dissolution of our Constitutional Republic. Now, let us go to Boston for yet another story of unmerited police aggressiveness. "BOSTON -- A 21-year-old college student died Thursday of a head injury after a clash between police and a crowd of Red Sox fans who poured into the streets outside Fenway Park to celebrate their team's victory over the New York Yankees. Victoria Snelgrove, a journalism major at Emerson College in Boston, was shot in the eye by a projectile fired by an officer on crowd-control duty. The nature of the projectile was not immediately identified but the weapons are meant to be non-lethal ... Snelgrove's father, Rick Snelgrove, expressed outrage and said his daughter did nothing wrong. Standing outside the family home, he held up a photograph of his smiling daughter. 'What happened to her should not happen to any American citizen going to any type of game, no matter what', he said. 'She loved the Red Sox. She went in to celebrate with friends. She was a bystander. She was out of the way, but she still got shot." Even though the Boston Police Department apologized for the incident and said they were "devastated", the question must still be asked why such vigorous action was taken against a large group of happy fans? The remainder of this story indicated that minor incidents of a hoodlum nature occurred, but nothing major and nothing which would demand such a heavy-handed approach. In our third story, we ask a rhetorical question: Can anyone justify a police officer using a Taser stun gun on a 75-year-old woman, especially one who had recently broken six ribs in a back-yard fall? "She said she did not swing her arm or threaten Macon. 'As weak as I am, how could I do that?' said Kimbrell, who has arthritis and suffered six broken ribs in a recent fall in her back yard. 'Maybe I was trespassing, but I didn't know it. I thought they would understand'. She said she got upset because no one would tell her where her friend was -- or even if he was alive." Police departments today seem to move more quickly to a major, severe reaction than ever before. We have seen protestors brutally treated in many instances over the past four years. Recent protests at G-8 summits have turned very confrontational because of police tactics. Just ask the good folks in Seattle. VI. Even as oil prices are manipulated upward, do not fear that the American economy is about to fall. While an economic disaster is planned, it will not occur before all elements of the plan are ready to go at once. "LONDON: Oil prices held near record peaks yesterday after a larger-than-expected decline in heating fuels in the United States heightened fears of a winter supply crunch ... Prices surged three per cent on Wednesday after a US government report showed a fifth fall in as many weeks in heating oil inventories at a time when stocks would normally be building. Heating oil supplies are also running low in other key demand countries, such as Germany and Japan." We have demonstrated that this particular oil crisis began much earlier this year and is the result of shutting down refineries for a variety of reasons, and is NOT the result of losing crude oil on the world's market. In NEWS1925, entitled, "Oil And Gas Prices Are Heading Up, Up, Up", we noted the tremendous numbers of key refineries which have suddenly been removed from the marketplace. Please allow us to see what the Illuminati is doing to us with this current oil crisis, and then we shall proceed to the point where we can see the future. In other words, the "Illumined Ones" who run our government and economy have decided to use such "price shocking" to redirect monies from the hands of the "undisciplined and irresponsible many" into the hands of the "self-disciplined, responsible, and worthy few." Even though neither Federal Reserve Board Chairman Greenspan nor President Bush will admit the truth, the reality is that this price shocking of a commodity is designed to take money out of the hands of those who do not deserve it, placing it in the hands of the already wealthy few who do deserve it, according to this elitist thinking. What kinds of people are considered undisciplined, and unworthy? After nearly a decade of consumers buying gas-guzzling SUV's, monstrous trucks and gas-hungry passenger cars, gas prices are surging. Many times during this decade, I have confided to friends and associates that, when enough of the American public gets hooked on gas-guzzling vehicles, the cost of gas is going to go into the stratosphere. We have a refinery problem, as we demonstrate in NEWS1925 because so many refineries have gone off the market in the past nine months. 2. After this war is under way, a serious nuclear war crisis will erupt on the Korean Peninsula. However, none of these planned events will occur before the Middle East blows up into war. Therefore, the planned economic collapse will not occur until then. The Illuminati is well aware that economic prosperity in Western states must continue right up until the time World War III begins. Listen to House of Theosophy Director, Alice Bailey, tell us of this concern that none of the planned changes hurt the economy. Bailey is a medium for "Master D.K. ", her familiar spirit. Bailey is speaking of the coming forced disarmament. "In the preparatory period for the new world order there will be a steady and regulated disarmament. It will not be optional. No nation will be permitted to produce and organise any equipment for destructive purposes or to infringe upon the security of any other nation. One of the first tasks of any future peace conference will be to regulate this matter and gradually see to the disarming of the nations." (Alice A. Bailey, "The Externalisation of the Hierarchy", p. 191; channeled through Bailey by the demonic spirit, "Master D.K."). However, Master D.K. is well aware that steps must be taken to avoid severe economic complications through this disarmament. These quotes reveal how cognizant the Illuminati is about the economy all along the path toward their global government, economy, and religion. They are convinced that Western peoples must feel prosperous right up until the beginning of the "Final Birth Pangs" war. Former Satanist, Doc Marquis, told me that the Illuminati was so determined to maintain a feeling of prosperity right up to the end that they would maintain the economy by powerful Witchcraft, if necessary. Since 1996, Cutting Edge has been receiving communication from noted economists, warning us that the economy must soon fall, as the indicators were terrible. One professional investor wrote me in June, 1996, giving me all the reasons the economy had to crash before the end of that year. Some people will be hurt by these planned disruptions, but the entire economy will not crash until the Middle East erupts in war. Israel's separation of her population seems to be the key to determining how close we are to final matters. Therefore, all worry and speculation about the economic repercussions of a Kerry Presidency are unfounded, as a quick check of the economy during the Clinton years will demonstrate. In fact, economic conditions under Bush will also be such as to not fail until the Middle East blows up into all-out war. While some individual Americans will be hurt by these economic troubles, the entire economy will not fall until all elements of the World War III scenario are in place. VII. As the scare campaign for flu shots continues, the time has come to state the obvious: Flu vaccines are worthless! "Doctors who give a shot in the wrong arm could face a stiff slap on the wrist. State Health Commissioner Dr. Antonia Novello vowed yesterday to crack down and fine doctors who give flu shots to people who are not in high-risk groups ... Doctors who flout the federal guidelines on who should get first dibs for the shots could face sanctions by the state Office of Professional Medical Conduct, including fines of up to $2,000 for each violation ... The federal Centers for Disease Control and Prevention has urged doctors to give priority to seniors 65and older, children between 6months and 23 months old, people with chronic medical conditions, pregnant women, health care workers in contact with high-risk patients and people who take care of infants younger than 6 months old." Mary and I have raised seven children and in that time, have taken them to the doctor many times for treatment. Time and time again, the doctor would declare that tests showed that the sickness was being caused by a virus, and since medical science could not beat a virus, advised me to take my child home to let their bodies get over the sickness naturally. If this has happened to me time and again, tens of millions of parents must have been told the same thing. My high school biology textbook declared the same reality. Science can only cure diseases caused by germs. Why is science impotent when it comes to effectively dealing with a virus? Because a virus is constantly mutating. A medicine designed to be effective against one year's virus will be totally ineffective against the next year's virus because that new virus has mutated and is no longer the same! For this reason, science has no answer against even the common cold. My youngest daughter studied to be Registered Nurse; one day, she called me from the hospital in which she was working to tell me that the experienced nurses routinely called the flu vaccine the "Old People Killer". In like manner, the best a flu vaccine could offer would be a protection against last year's virus; the current year's virus will be totally different. Therefore, a vaccination against flu is worthless at best and dangerous at worst. Please take the time to read this report from Japan which details the worthlessness of a flu vaccine: "Japan's Greatest Lesson: Compulsory Flu Vaccine Reveals No Benefit and Deadly Side Effects"
Since this is the case, how does the government convince people they MUST HAVE that worthless flu shot? The answer is easy, and the tactic well known. In the Toy Industry, whenever a manufacturer wanted to stimulate demand for a second year for their new hot TV-advertised product, they would carefully short-ship the demand during the first year. In other words, they would deliberately create a shortage, thus causing an emotional reaction amongst the people who could not get that popular toy that year, so they would be ready and chomping at the bit when the product hit the shelves sometime in the next year. Likewise, our Mass Media has drummed up these artificial shortages, so that people will panic, thinking they might not get the "protection" they needed. This tactic is proven and works nearly every time, whether it is in the Toy Industry or in the medical field. You see, once people are convinced they MUST have that flu shot, and are driven to great lengths of distress because there are not enough doses to vaccinate everyone who supposedly needs one, it then becomes easy to introduce a super-strain of flu which will kill and kill and kill, having the "same effect as the Black Death of history." People will be clamoring for the very shot which will kill them. Has the world suffered through a flu that was enormously devastating? Yes, we have -- the Spanish flu epidemic of 1918. The Irish Examiner posted an important article on this matter, which we have posted on several occasions in our Daily News Updates. Listen to their conclusion as to the real origin of the Spanish flu outbreak of 1918. "How did they know it was the virus of Spanish flu that killed millions of civilians and soldiers? This disaster occurred when viruses were unknown to medical science. It took a British science team to identify the first virus in man in 1933 ... But US Army records show that seven men dropped dead after being vaccinated. A report from US Secretary of War Henry L Stimson not only verified these deaths but also stated that there had been 63 deaths and 28,585 cases of hepatitis as a direct result of yellow fever vaccination during only six months of the war ... Army records also reveal that after vaccination became compulsory in the US Army in 1911, not only did typhoid increase rapidly but all other vaccinal diseases increased at an alarming rate. After America entered the war in 1917, the death rate from typhoid vaccination rose to the highest point in the history of the US Army. The deaths occurred after the shots were given in sanitary American hospitals and well-supervised army camps in France, where sanitation had been practised for years." "The army doctors knew all these cases of disease and death were due to vaccination and were honest enough to admit it in their medical reports. When army doctors tried to suppress the symptoms of typhoid with a stronger vaccine, it caused a worse form of typhoid, paratyphoid. But when they concocted an even stronger vaccine to suppress that one, they created an even worse disease - Spanish flu. After the war, this was one of the vaccines used to protect a panic-stricken world from the soldiers returning from WWI battlefronts infected with dangerous diseases." Now you know that the Spanish Flu of 1918 was deliberately created and then spread through vaccinations! But, the "panic-stricken" public demanded a vaccination, not realizing that was the way in which to catch the disease. Of course, many were also killed when the virus spread from person-to-person as viruses normally do. This is startling information, considering how close the world seems to be close to the final conflagration which will produce Antichrist; once he is on the world scene, then fulfillment of these terrible diseases foretold in Scripture and contained within the Illuminati Plan can begin. Considering that the Spanish Flu of 1918 was the most deadly on record, and considering that we now know the plan exists to deliberately introduce another "Black Plague", the next story must cause us some alarm. "(Austin and Hamburg, 9 October 2003) – The 'Spanish Flu' influenza virus that killed 20-40 million people in 1918 is currently under reconstruction. Several genes of the extraordinarily lethal 1918 flu virus have been isolated and introduced into contemporary flu strains. These proved to be lethal for mice, while virus constructs with genes from a current flu virus types had hardly any effect. These experiments may easily be abused for military purposes, but provide little benefit from a medical or public health point of view. The 1918 Spanish Flu was highly infectious and – in comparison to contemporary flu viruses – killed a very high percentage of those infected, including many younger people. The Spanish Flu alone caused the medium life expectancy in the US in 1918 to drop by 10 years. Hence, flu viruses are perceived today as a serious biological warfare threat." It is a fact: there can be no "medical benefit" to genetically resurrecting the 1918 Spanish Flu virus. However, if you are planning to resurrect the deadly Black Plague, this action makes a lot of sense. Now, let us continue this news story, to see that these Army scientists literally did make this flu virus jump back to life. The Army lamely stated that they brought this terrible virus back to life so they could develop anti-terrorist measures against it. However, this defense is blown apart by the very next paragraph of this article. Exactly! Now that people are being driven to extreme measures to want to take a medically worthless flu vaccine, is the stage being set for a resurrected 1918 Spanish Flu virus to be slipped into a future batch of flu vaccination doses? Given the apparent closeness of the appearance of Antichrist, we must be on guard against our government convincing us to take a flu vaccination which is worthless in a Best Case Scenario and deadly in the Worst Case. VIII. The war in Iraq continued to rumble along, with reports that Coalition Forces are planning a pulverizing attack against Fallujah. "BAGHDAD, Iraq - An imminent offensive to break the resistance in Fallujah, a rebel stronghold about 35 miles west of Baghdad, could be one of the most decisive battles since the fall of Baghdad 18 months ago. Once little more than a giant truck stop on the road from Baghdad to Jordan, the city of about 300,000 has become a symbol of the Iraqi resistance that has resonated throughout the Arab world. But to U.S. forces and their Iraqi allies, Fallujah is a cancer, a refuge for foreign terrorists who are using it as a sanctuary to launch suicide bombers in Baghdad and elsewhere in Iraq ... U.S. forces, positioned around the city, have intensified air strikes on suspected terrorists inside Fallujah in recent weeks. This is just a prelude to the battle to come. U.S. officers say recent operations are aimed at weakening the militants and disrupting their ability to launch attacks. Negotiations with representatives from Fallujah to end the standoff have broken off ..."
Fallujah was one of those cities in which we agreed to allow Iraqi police units to patrol the city, in exchange for our agreement that American forces would no longer set foot within the city. We covered this disaster in our Newsletter, September 11, 2004. We quote a news story reporting that Defense Secretary Rumsfeld admitted that our forces did not control Falluja or Samarra. Now, we are tightening control over the roads and the territory a military force has to use to break out or to get resupplied. Right after the election, a most punishing and devastating attack on this city is planned. However, American forces are somewhat short of manpower; therefore, the Bush Administration strongly "requested" that elite British units stationed in the south near Basra move northward to aid us in our planned attack. After several days of agonizing, Prime Minister Blair ordered the redeployment of the elite force called the "Black Watch" to support the American invasion. "The Black Watch regiment was yesterday ordered by the Cabinet to help US forces throw a 'ring of steel' around Fallujah before an all-out assault on insurgents in the city. The 850-strong 1st battalion, including three companies of armoured infantry, totaling some 500 men, equipped with 50 Warrior armoured troop carriers, is being ordered to hold an approach road into Fallujah ... Robin Cook, the former foreign secretary who resigned over the war, last night warned Tony Blair that Britain will be associated with the blame if the assault on Fallujah resulted in heavy civilian casualties." This latter concern is the most important, for many observers fear that an all-out assault will result in many thousands of civilian deaths; of course, each of these civilian casualties will be called an "insurgent" by our military. IX. After murdering dozens of Interim Iraqi officials over the past year, insurgents aimed their heavy mortars directly at the residence of Prime Minister Allawi. "MOSUL, Oct 21: Guerillas fired mortars close to Iraqi Prime Minister Iyad Allawi and his entourage, which included the interior minister and his national security adviser , during a visit to the northern city of Mosul on Thursday. Mortars fell on a multinational force base as Mr Allawi and other visiting officials were getting ready to board helicopters on their way back to Baghdad." Every member of the Iraqi Interim Government must be shaking in their boots every morning they go to work, for they know they are marked for assassination, and they further know that Coalition Forces are incapable of really protecting them. Not only did the Iraqi people not greet our soldiers with kisses and flowers as we overthrew Saddam, but now their insurgency is gaining strength and improving their capabilities. Coalition Forces may have the power to level targeted towns, but not enough to defeat a guerilla force covering the whole of Iraq. We may not be defeated, as Presidential Adviser Rice, said last week; but, neither do we have the forces to be able to defeat the guerilla force. At this point, you may ask, why did we invade Iraq in the first place if Saddam had no WMD, if he had no provable ties to Osama bin Laden, and if we did not care enough to commit the number of troops our own generals said we needed? 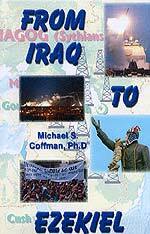 "FURTHER STRATEGIC AND POSSIBLE PROPHETIC IMPLICATIONS OF AMERICAN USAGE OF DEPLETED URANIUM -- IS D.U. PART OF THE PROPHETIC "HUGE SWORD" OF THE SECOND SEAL ?" We never planned to win in Iraq. Truly, the signs multiply that the End of the Age is thundering down upon mankind. We learn from this narrative, the necessity of human agency. The draught of fishes was miraculous, yet neither the fisherman nor his boat, nor his fishing tackle were ignored; but all were used to take the fishes. So in the saving of souls, God worketh by means; and while the present economy of grace shall stand, God will be pleased by the foolishness of preaching to save them that believe. When God worketh without instruments, doubtless He is glorified; but He hath Himself selected the plan of instrumentality as being that by which He is most magnified in the earth.